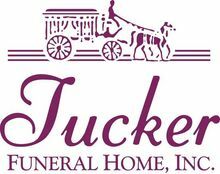 GREENVILLE – Clifford Sidney "Pete" Lacy, 93 of Greenville, died Wednesday, December 5, 2012 at the Muhlenberg Community Hospital in Greenville. 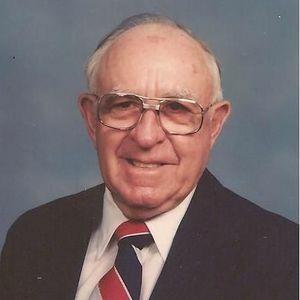 He was born on February 14, 1919 in Depoy, KY, was a faithful member of the Second Baptist Church in Greenville, was retired in 1982 after 36 years with Peabody Coal Company, last working in Muhlenberg County at the Sinclair Mine. He was an avid fisherman and hunter all his life. He is survived by his wife of 71 years, Dorothy , four children, Wayne(Helen)Lacy of Greenville, Karla (Steve)Bower of Campbellsville, Luanda "Jill"(Darrell-deceased)Hale of Pensacola, FL., and James Nelson (Dianna)Lacy of Oceanside, CA., a sister Wilma Lee Dillingham, E. Tawas, MI., thirteen grandchildren, fifteen great grandchildren, numerous nieces and nephews. He is preceded in death by his only brother, Thomas"Tom" Lacy of White Plains, and his parents, Cliff and Mervie Lacy of White Plains. He served in the Third Infantry Division in WW II, four years, participated in the Battle and campaign of Central Europe, Decorations and citations, American defense ribbon, American Theater ribbon, good conduct medal, WW II victory medal European and African middle eastern theater ribbon with Bronze service star. Funeral Services will be at 11:00 AM, Saturday, December 8, 2012 at Second Baptist Church in Greenville conducted by Rev. Bob Thurman and Dr. Ray England with burial to follow in the Evergreen Cemetery in Greenville. Visitation will be after 5:00 PM Friday and after 8:00 AM Saturday at Second Baptist Church in Greenville. My dearest GPa. I love an miss you so very much. You are the man that built the foundation which have grown to live by. The memories you have given me are some if the best of my life. Meeting you when you'd come home from work. The fishing trips w my Lil lunchbox. Squirrel hunting. So many first time. I know you have lived a long beautiful life an are very missed! !